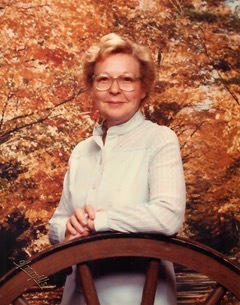 Obituary for Jean Marie (Gromis) Huffman | Edward J. Hildenbrand Funeral Home , Inc.
Jean Marie (Gromis) Huffman, 89, of Kutztown, Reading, and now Allentown, passed into eternal life on Thursday, March 14, 2019 at LVHN-Cedar Crest. Born in Kutztown the daughter of the late Clair M. L. and Amanda L. (Kramer) Gromis and the wife of the late John E. D. Huffman. Jean was a church organist, pianist, and choir director for over 50 years. She was also employed at Reading Housing Authority, Reading Bible House, and Boscovs. Jean was a member of St. Paul’s Lutheran Church, Allentown. She is survived by; son Michael C. Huffman; sister Ruth E. Foster; nephew Timothy M. Foster; and many Kramer and Gromis cousins. Services: Tuesday, March 19, 2019. Visitation with the family 10:30 a.m. until time of service at 11:00 a.m. at the Edward J. Hildenbrand Funeral Home Inc., 346 West Main Street, Kutztown, with Pastor Steve Ohnsman officiating. Memorial contributions may be made to Calvary UCC, 640 Centre Avenue, Reading, Pa. 19601, family requests no flowers.